Connect the positive (+) lead from the battery to the terminal and the negative (–) lead to the horn body, and check that the horn blows. If the result is not as specified, replace the horn. Remove the horn relay from the engine room j/b. 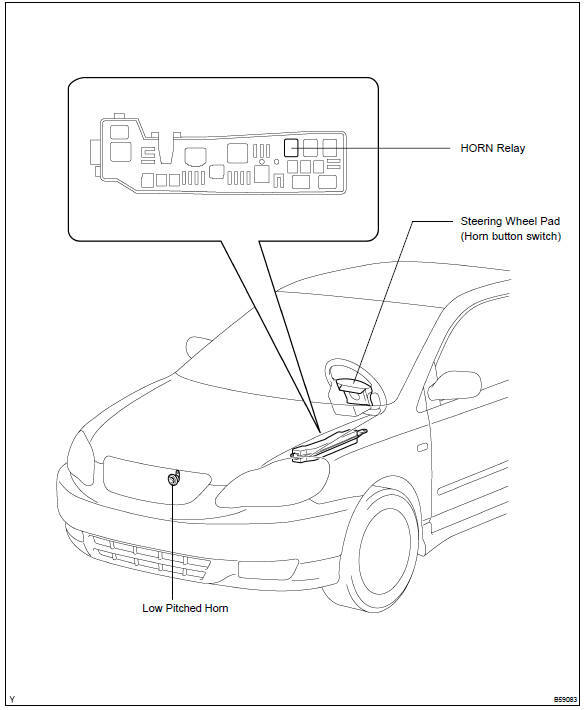 inspect the horn relay continuity. If the result is not as specified, replace the relay.